The classic is again a contender. 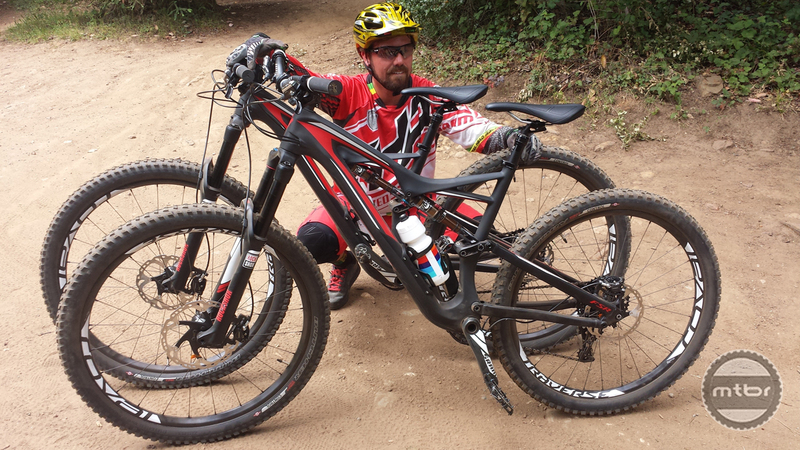 Our test rider John Bennett enjoyed the shorter chainstays and wheelbase of the Stumpjumper (click to enlarge). The Specialized Stumpjumper FSR is Specialized’s All Mountain bike, slotted in between the the 120mm travel Camber and the 155mm travel Enduro in 29er wheel size. The Stumpjumper has 130mm of travel in 29er trim and and 150mm of travel in 650b or 27.5 wheels. The key change to this bike is it was made to be more fun and fast. The Stumpjumper took a bit of a backseat to the Camber Evo with its agility and the Enduro’s racing prowess. And the Enduro took the reigns when it came to All Mountain, terrain eating prowess. But the Enduro is not the fastest climbing bike and the Camber would occasionally run out talent descending chundery segments. The Stumpjumper is back to carve out its own legacy in the category that it should own, All Mountain and enduro racing. It should be the fastest when it comes to climbing and descending a good mix of rough, technical terrain. The head angle has been slackened on both wheel sizes (click to enlarge). The head tube was slackened on the 29er by 1.5 degrees so it is now at 67.5 degrees. The 27.5 version was slackened by 1 degree to 67 degrees. The chainstays have been shortened as well to 437mm for the 29er and 420mm for the 27.5. And finally, wheelbase has been shortened to 1115mm for the 29er and 1096mm for the 27.5. 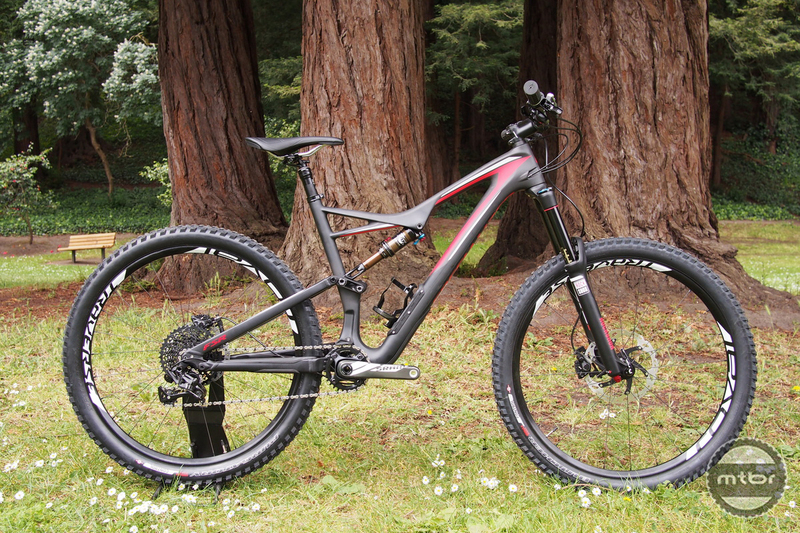 The outgoing 2015 Stumpjumper had a chainstay of 450mm and a wheelbase of 1118. Clearly it was left behind the times as Specialized learned many things about geometry. This new stumpjumper gains short chainstay technology from the Enduro and relatively slacker head tube experience from the Camber EVO. This new bike has a short wheelbase yet is snappier handling-wise and is more capable in descents. Lars Thomsen of Trailhead Bikes puts the 650b version in front of the 29er for comparison (click to enlarge). Last year’s Stumpjumper 650b was really a rushed effort to offer a product in the 27.5 arena. The front triangle used a 29er front triangle with a head tube spacer and the look, geometry and the entire package wasn’t up to par with Specialized’s normally high standards. This year, the 27.5 version is dialed. It is designed from the ground up and it includes all the optimizations found in the 29er version. Pricing for the 29er and 650b models are generally the same except for the S-Works model. The 650b version is $300 cheaper since it uses an aluminum chainstay while the 29er version is all carbon. 1. 650b vs 27.5. Ok this is completely personal preference and doesn’t really matter but 650b is technically correct. Either way who cares. 2. No one really wants a new rear axle standard. Kudos for sticking with 142. 3. Sure, Shimano is good too. But in this category sram 1x drivetrains are immensely more popular. Can’t blame them for going with the more popular option, and there is always a frame if you want to build it up with shimano. 4. Dropper posts – would have to agree with you there. I switched out my Specialized command post. Specialized obviously specced their house brand, it is a lighter option in the dropper post market though. Seriously Specialized, get rid of the offset in your dropper posts. Being able to drop your post negates the need for offset. You can have the seat forward for a good climbing position now, and just drop it out of the way for the descent. Last vestige of old skool that Spec hasn’t been able to get rid of. Otherwise, they’re looking pretty good. I dislike offset posts in general, but the Stumpy is already to short with the offset post. If you want to run a short stem, you’d have to upsize. For Specialized dropping offset posts would mean they’d have to redo the frames, firstly because many riders are used to “their” size, and secondly the gaps from frame to frame are not equal. Wow, they shortened the wheelbase on the 29er by 3mm!!!! That is amazing! I believe it was shortened by 13mm, not 3mm. I haven’t ridden one of these new Stumpys obviously, but I own an Enduro with the super short chainstays, and it handles better than any bike I’ve owned the last 20 yrs….So I bet this bike will rail. I’ve been riding a stumpy for a long time now…had an 07, now a 12, both sworks. They have always fit me well and I liked the middle ground of travel vs nimbleness for the way I ride. In a couple of years when I’m back in the bike market I hope they have this all sorted out for me, and that I can find a used one that doesn’t cost $10k! Prices of bikes are out of control. Wow! The offset seatpost is just right how it is. 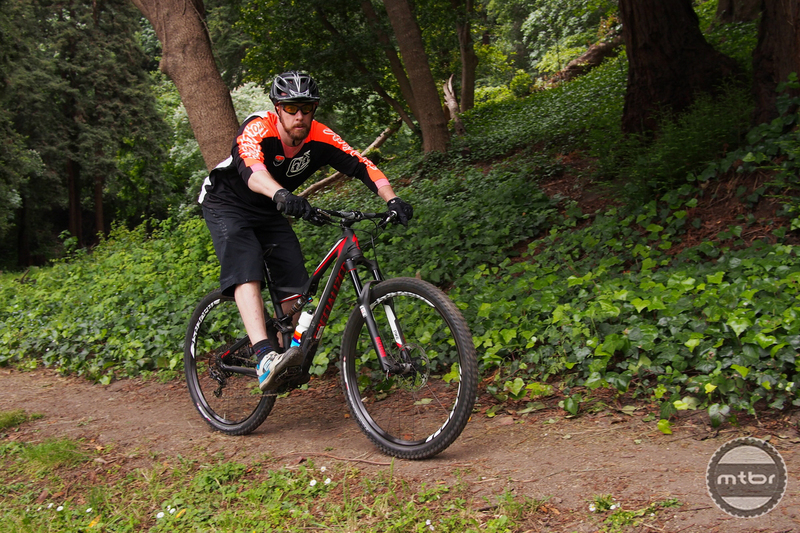 Rear wheel travel for the 29er Stumpjumper is inaccurately represented. All 2016 FSR Stumpjumpers have 135mm of travel; NOT 130mm as the article states in the opening paragraphs. While comparing a ’14 Camber EVO and ’15 SJ at local shop this February, got word that the ’15 SJ FSR Elite had dropped from $3800 to $3200 on sale. Looking at specs, was easy choice. Now I see why they went on sale, but replacement is $1100 more. I know the Brain shock wasn’t for everyone, but for me it works quite well. Quite pleased I pulled the trigger when I did. I rode the large size of the 29 inch version of this bike at the Sedona Mountain bike festival for about 6 miles. My impression of this bike is that it’s kind of big, and I’m 6’1 and 210 pounds. On steep climbs, it wasn’t that easy to keep the front end down when seated but the gearing is so high you’ll probably want to climb steep trails out of the saddle anyways. On descents, the bike was very stable and inspired confidence — tight switchbacks are sort of fun with this bike. If you like to pedal up roads and then bomb down trails or are strong enough to climb out of the saddle then this is the bike for you.